I might have a small addiction to hot chocolate. Nothing too horrific, just a nice hot mug in the morning. It’s a good source of calcium, right? All right, the sugar isn’t exactly super healthy. That’s why I quit for a while. The heat of the summer may have also had something to do with it. A couple years ago I started making my own chocolate syrup. After all if I was going to drink something daily it would be nice to know what is in it and be able to customize my drinks. This is something incredibly easy to make. What took me so long to do it?! As with all homemade products you can tweak it to your tastes. You also get out what you put in so use a high quality cocoa powder. I like to use my Scharffen Berger cocoa powder. It makes a delicious chocolate syrup. When it comes time to put it in my squeeze bottle I always have more than fits. In my mind this is a good thing. Now I get a chance to play with flavors. I like to have most of the chocolate syrup “plain” since it is most versatile that way. That extra cup or so though, that’s my stash of special chocolate syrup. The flavors change. Sometimes I add cinnamon. Other times it may be cayenne pepper. Or cinnamon and cayenne for a Mexican hot chocolate. This time it was peppermint extract. I just love a minty hot chocolate! Obviously this syrup has many other uses than just for hot chocolate. You can bake with it, something like chocolate pie would be fantastic. Squeeze some on top of a big bowl of ice cream. Drizzle it on a plate with a piece of cheesecake. Let your imagination run wild! Whisk together the sugar, cocoa powder and salt in a medium sized sauce pan. Add water and vanilla and whisk to combine. Bring to a boil over medium high heat, whisking often. Once it reaches a boil whisk constantly for 3-5 minutes (on the longer side for a thicker syrup). Remove from heat, cool and pour in a container. Store in the fridge. This entry was posted in Condiments and other Misc. 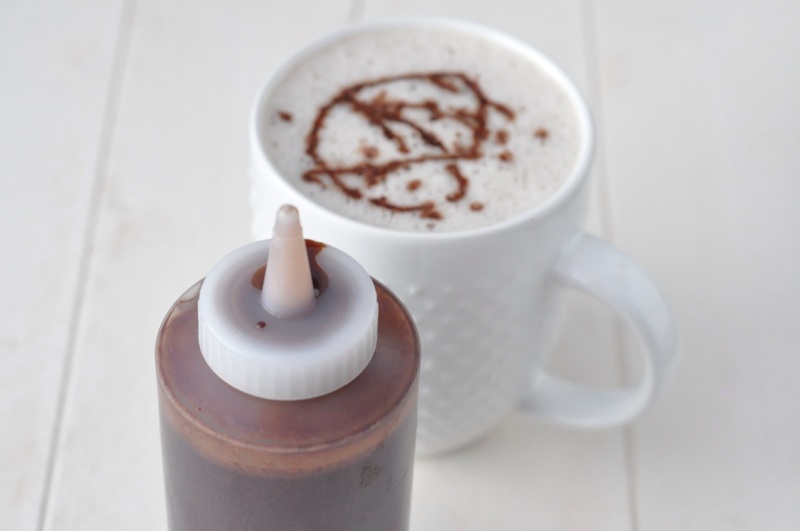 and tagged chocolate sauce, condiment, easy, hot chocolate, hot cocoa on September 10, 2015 by Gretchen. With everything we make in the kitchen I still have moments where I wonder why it took me so long do make something new! This is definitely a kid pleaser. I will drizzle that on top of that Ricotta Toast LOL!! YUM!! 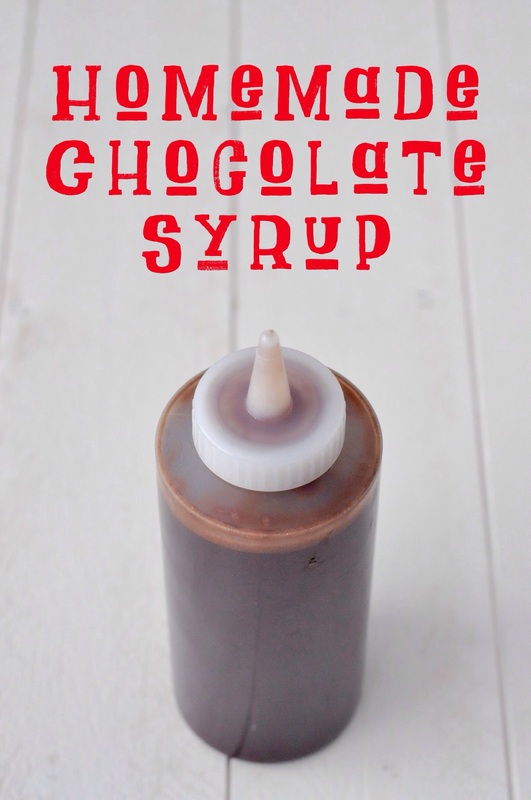 I’ve never made my own chocolate syrup but this is actually so easy to make. I am tempted to give it a go and maybe next time I’ll splash it on my French vanilla ice-cream. I’m actually drinking a cup of hot chocolate now (you made me crave for it), but my Baileys got finished so it’s just plain old hot chocolate! So many other liqueurs are good in hot chocolate besides Bailey’s too! Chocolate syrup is indeed easy to make and I’m about out, time for another batch.